Central limit theorems for linear statistics of lattice random fields (including spin models) are usually proven under suitable mixing conditions or quasi-associativity. Many interesting examples of spin models do not satisfy mixing conditions, and on the other hand, it does not seem easy to show central limit theorem for local statistics via quasi-associativity. In this work, we prove general central limit theorems for local statistics and exponentially quasi-local statistics of spin models on discrete Cayley graphs with polynomial growth. Further, we supplement these results by proving similar central limit theorems for random fields on discrete Cayley graphs taking values in a countable space, but under the stronger assumptions of \(\alpha \)-mixing (for local statistics) and exponential \(\alpha \)-mixing (for exponentially quasi-local statistics). All our central limit theorems assume a suitable variance lower bound like many others in the literature. We illustrate our general central limit theorem with specific examples of lattice spin models and statistics arising in computational topology, statistical physics and random networks. Examples of clustering spin models include quasi-associated spin models with fast decaying covariances like the off-critical Ising model, level sets of Gaussian random fields with fast decaying covariances like the massive Gaussian free field and determinantal point processes with fast decaying kernels. 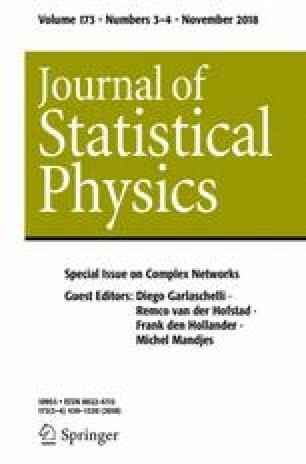 Examples of local statistics include intrinsic volumes, face counts, component counts of random cubical complexes while exponentially quasi-local statistics include nearest neighbour distances in spin models and Betti numbers of sub-critical random cubical complexes. DY’s research was supported by DST-INSPIRE Faculty fellowship and CPDA from the Indian Statistical Institute. DY is thankful for the discussions with Matthew Wright which led to his interest in this question and especially the applications to random cubical complexes. The authors are also thankful to numerous comments by anonymous referees that has lead to an improved presentation.